On September 30th, Andrea took both kids for their annual cleaning and checkup. 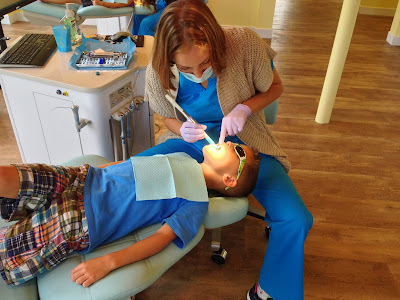 There's a new pediatric dentist that opened close to our house and Andrea decided to give it a try. 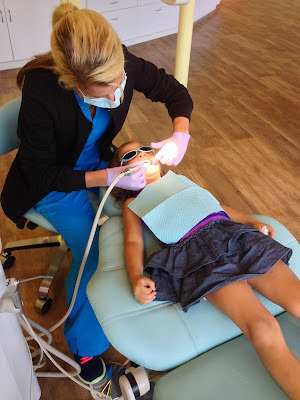 Both kids were very good for the hygienists and for the dentist and their checkups looked good. No cavities and we've been doing a good job keeping their teeth clean. Connor still hasn't lost any of his baby teeth yet, but he probably will start to soon.